EzyDog's Vario 4 Dog Leash is has an ingenious setup. With one leash you can cover 4 different situations. The leash uses EzyDog's special blend of super soft nylon and is 25mm wide. 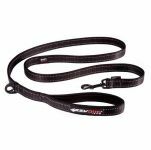 While walking you can go from a long 6ft (185cm) training leash to a 100cm or 72cm traffic leash by pulling the leash through the D-ring at the collar end of the leash. You can easily go back to the 6ft leash by just pulling on the D-ring. 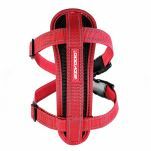 It can also be used as an emergency check collar as needed by looping the end of the leash around the dog. Great versatility! 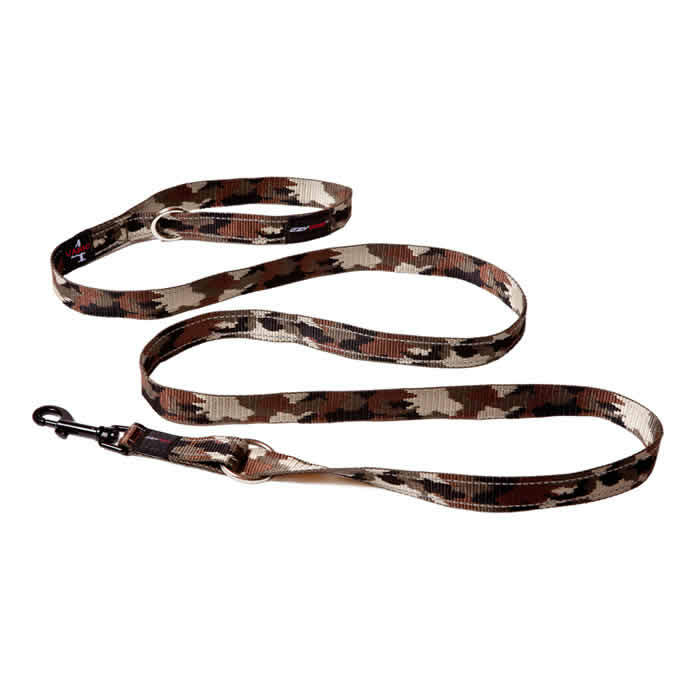 I purchased this leash in conjunction with the EZYDOG Harness. Waggle were super quick with next day delivery. This leash is the best i have ever seen. My puppy German Shepherd chewed straight through her old cheaper leash. 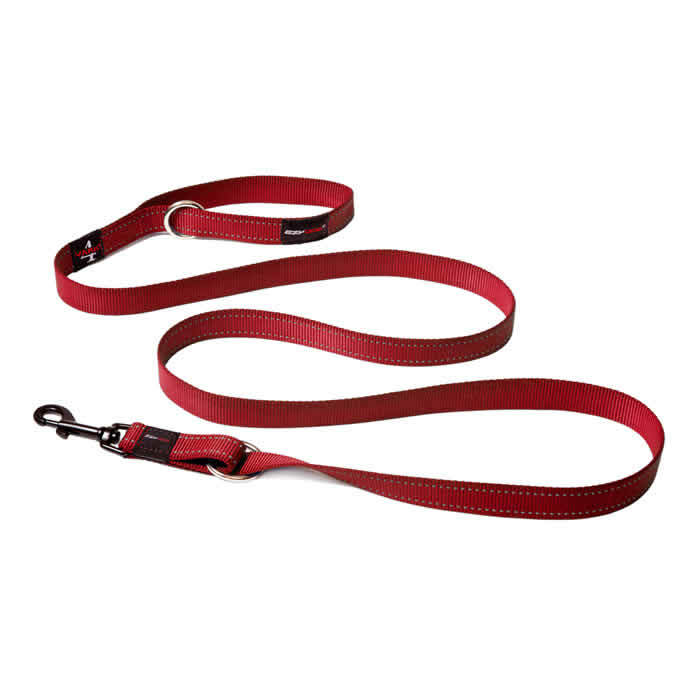 This particular leash is extremly tough, durable and a genius design. For routine walks on footpaths the leash doubles and is shortened giving you more control and safer. When walking in open parks its genius loop system allows you to extend it to two meters giving my pup plenty of room to sniff and explore her surroundings and makes walking fun. 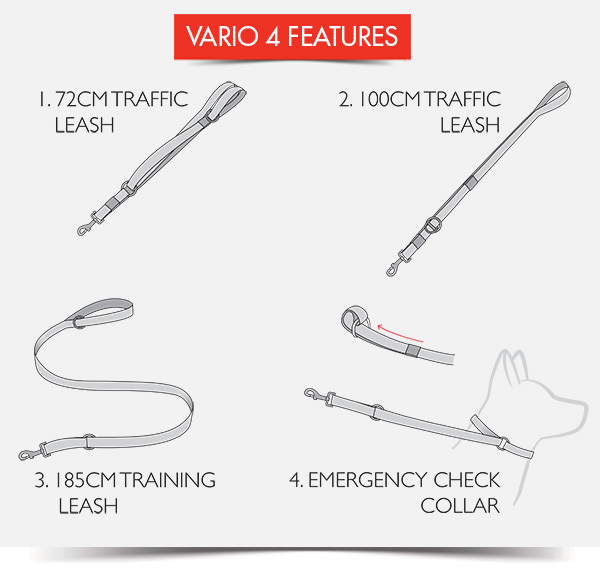 Read 7 customer reviews of EzyDog Vario 4 Dog Leash. The average customer rating is 5. A fabulous lead. Quick & easy to convert from long to short. Loving this leash! Our pup is not the best on leash yet & this is so convenient to convert from a long leash when he's walking well to a short leash when we're needing more control. Really great value for money! This is a great lead. The reflective lines on it are great when walking the pups in the dark. It is nice and smooth and it never gets tangled and there is never any risk of it cutting into their legs. Very impressed. Highly recommend. The other great design idea in this leash is that in emergencies, safety or for situations where you need more control it can also convert to a gentle choke collar and leash all in one. Simply best EZYDOG Harness and leash combo in the market. Highly reccomend it for German Shepherd owners and every dog owner of any breed will find that once you have had this leash, you will never look back. Great value. Thanks waggle. This is a fantastic lead! The best one I've had and so easy to use from long to short as quick as you like....love it!! Great lead and perfect for puppy school!!! Love that you can easily switch it to a short lead with a quick action as well as it be a choker for those emergency situations... Wish I had know about this lead years ago!